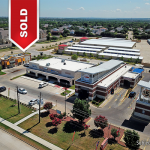 An 8,320 square foot Net Leased Family Dollar- Carencro, LA sold for an undisclosed amount. 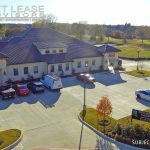 The Seller was represented by Branson Blackburn of KW Net Lease Advisors, a Texas based investment real estate brokerage & advisory firm. On July 6, 2015, Dollar Tree completed its acquisition of Family Dollar stores. 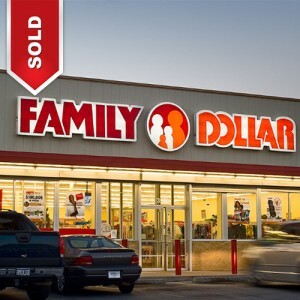 The Family Dollar segment operates general merchandise discount retail stores providing consumers with a selection of competitively-priced merchandise in convenient neighborhood stores. 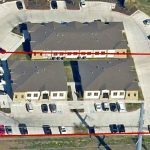 The Family Dollar segment consists of operations under the Family Dollar brand, eleven distribution centers and a Store Support Center in Matthews, North Carolina. 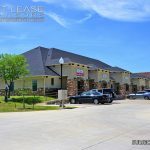 The stores average 7,800 square feet and they range from predominantly 6,000 – 8,000 selling square feet. In their 7,897 Family Dollar stores, the company sell merchandise at prices that generally range from $1.00 to $10.00. Family Dollar stores provide customers with a quality, high-value assortment of basic necessities and seasonal merchandise. They offer competitively-priced national brands from leading manufacturers alongside name brand equivalent value priced private labels. Family Dollar purchase merchandise from a wide variety of suppliers and generally have not experienced difficulty in obtaining adequate quantities of merchandise. While the number of items in a given store can vary based on the store’s size, geographic location, merchandising initiatives and other factors, Family Dollar typical store generally carries 7,000 basic items alongside items that are ever-changing and seasonally-relevant throughout the year. See more about Family Dollar including average trading prices, lease details and cap rates.